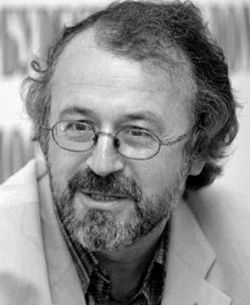 Quick Study: Vsevolod Bagno is a distinguished literary scholar and translator of Spanish literature, director of the Institute of Russian Literature (aka the Pushkin House, a constituent institute of the Russian Academy of Sciences specializing in literature), editor-in-chief of the journal Russkaya literatura, and member of several Russian Federation cultural committees and councils. The Bagno File: Bagno studied Spanish language and literature at Leningrad State University and wrote his two dissertations at the Pushkin House, eventually becoming that eminent institution’s director. He went on to produce an extensive body of scholarship on Russian literature, Spanish literature, and the cultural and literary connections between the two. He is also a professor at Saint Petersburg State University and a member of the Russian Academy of Sciences. He has translated poetry, prose, and drama from Spanish, Catalan, English, and French (including Francisco de Quevedo, José Ortega y Gasset, Jorge Luis Borges, Julio Cortázar, Germain Nouveau, Ramon Llull, and John Keats); edited editions of collected works of Jorge Luis Borges, Gabriel García Márquez, and Julio Cortázar in Russian translation; and since 2001 has periodically released collections of punning, paradoxical aphorisms entitled Pod absurdinku (a play on words combining the meanings of “muted,” “on the sly,” and “absurd”). Psssst….........: Bagno was granted the Spanish Order of Isabella the Catholic (Officer of the Cross) in recognition of his dedication to promoting cultural ties between Spain and Russia. Bagno’s Places: Born in Engels, Saratov Oblast; lives and works in Saint Petersburg. The Word on Bagno: According to his membership profile on the webpage of the Worldwide Petersburger’s Club, his hobbies include photography, sculpture, and karate. He was recently one of the judges for the UK-Russia Year of Language and Literature Translation Contest (2016).